Annual tradition? Well, it's more of an after-Baguio-tradition, but we go to Baguio every year anyways so I guess I'm not exaggerating when I say annual. I have come to realize that I am really my father's daughter when I prefer fresh fish over the ones you buy in the groceries. We're not really the type to go to wet markets early in the morning so we don't really get the chance to have fresh fish all the time. I love going to Butuan, my dad's hometown because they have access to different freshwater and salt sea fishes and I get to eat them every frickin day. Up here in the North, I anticipate eating at Matutina's all the time. We go to Matutina's mainly for their famous Malaga fish. I prefer it fried so we always order fried Malaga. My mom likes the Sinigang na Malaga, so we order a separate one. Although on our recent visit, we just ordered fried. The place is very province-ish but it saddens me that the management bought Italian-like statues of "welcome" and "thanks for coming" and the likes. There's nothing wrong with it, I just think it would be better for them to stick to the theme of their restaurant, which is very Filipino. ...and then it makes me wonder. Some places here in the metro try hard to make it look like the province and establishments in the provinces try hard to make it look modern or metro-ish. I don't get that. Oh well, it's none of my business. 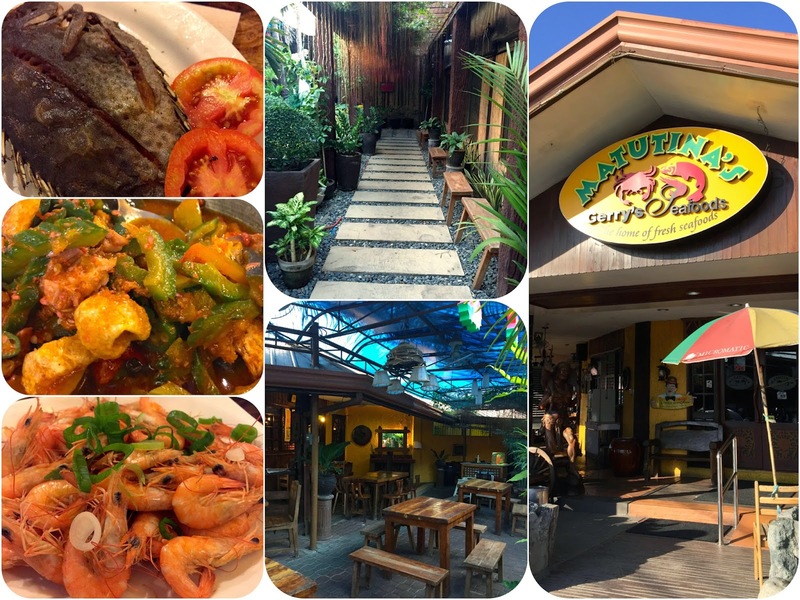 It's been eight consecutive years that we've been going to Baguio and eating at Matutina's and this is the first time I wrote about it. I've always wanted to, I guess I just keep on forgetting to take photos of the malaga every time I see it since I just want to devour into it immediately.